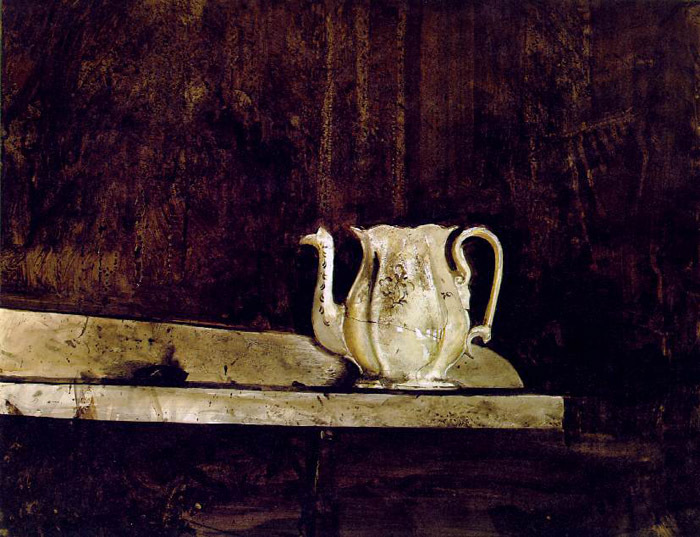 Andrew Newell Wyeth (born July 12, 1917) is an American realist painter, also known as regional art. He is one of the best-known of the 20th century and sometimes referred to as the "Painter of the People" due to his popularity with the American public. 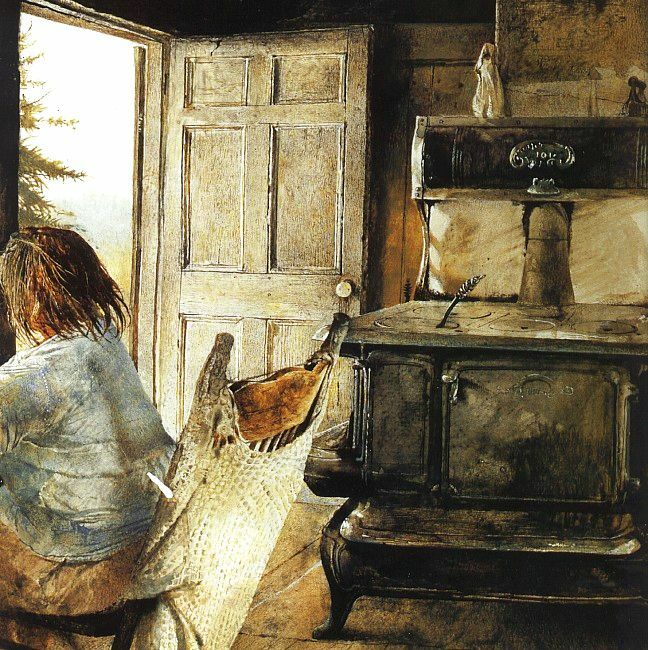 He is the son of the illustrator and artist N. C. Wyeth, and the brother of inventor Nathaniel Wyeth and artist Henriette Wyeth Hurd, and the father of artist Jamie Wyeth and Nicholas Wyeth . 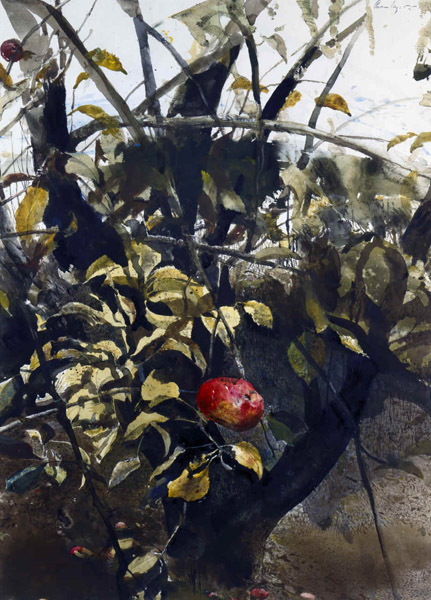 Wyeth's favorite subject is the land and inhabitants around his hometown of Chadds Ford, Pennsylvania and those near his summer home in Cushing, Maine. One of the most well-known images in 20th century American art, is Christina's World (1948), in the collection of the Museum of Modern Art in New York City. 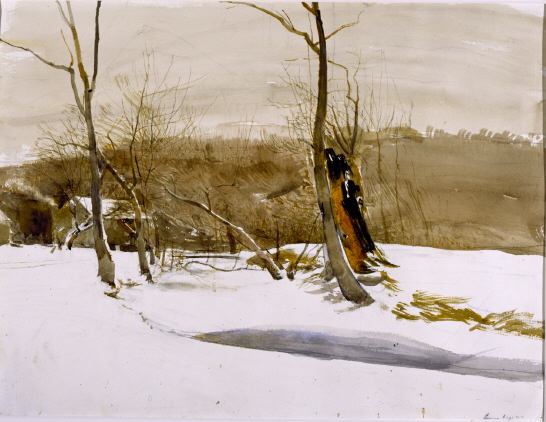 Andrew was the youngest of the five children of N. C. and Carolyn Bockius Wyeth. He was home-tutored because of his frail health, and learned art from his father during long periods together. 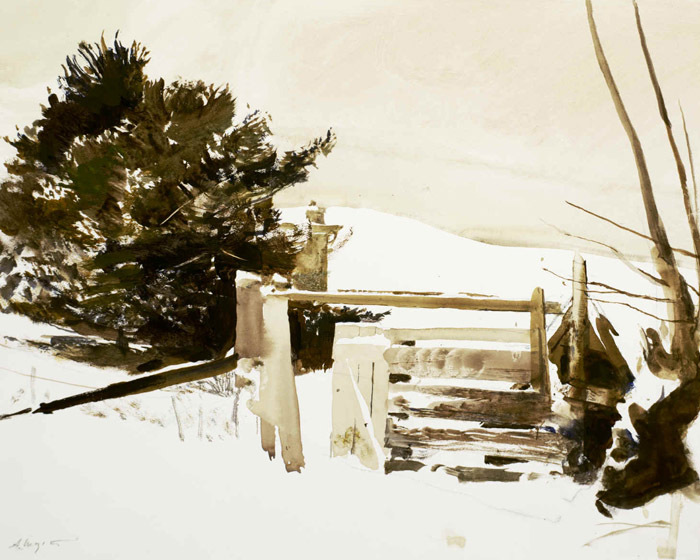 Both shared the same love for rural landscape, a sense of romance, and a strongly held feeling for Wyeth family history dating back to 1645 in America. 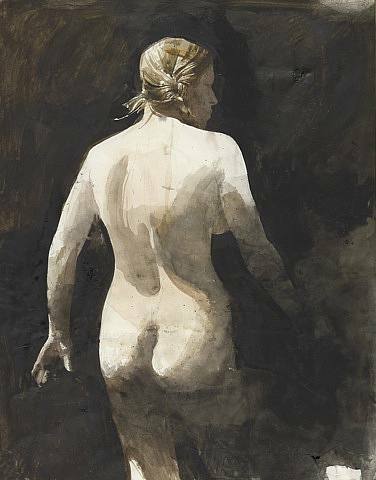 Andrew started drawing at a very young age, and with his father’s patient and skillful guidance, he mastered figure study and early took to watercolor, and later learned egg tempera from brother-in-law Peter Hurd. 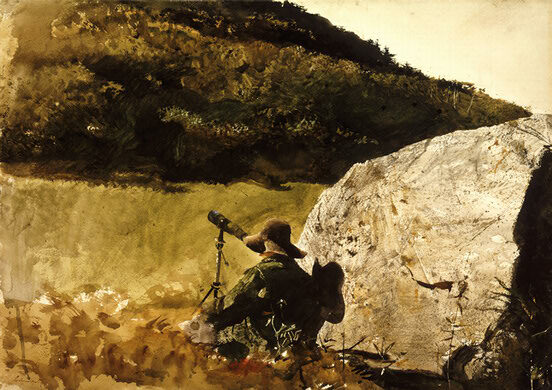 He studied art history on his own, admiring many masters of Renaissance and American painting, especially Winslow Homer. Like his father, he read and appreciated the poetry of Frost and Thoreau and studied their relationship with nature. Music and movies also heightened his artistic sensitivity. 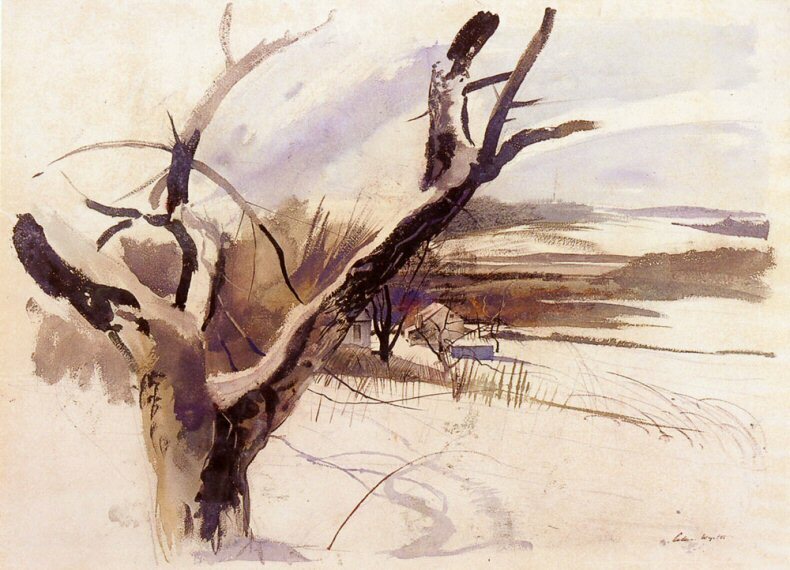 In 1937 at age twenty, he had his first one-man exhibition of watercolors at Macbeth Gallery in New York City. 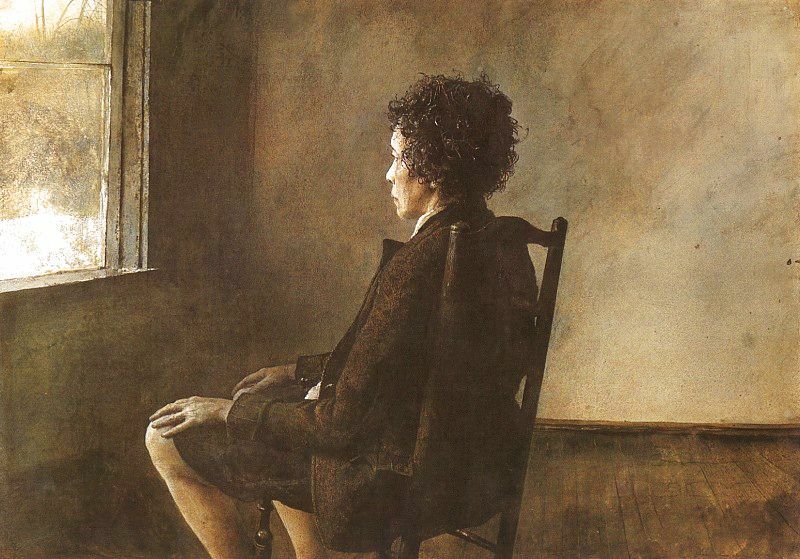 The entire inventory of paintings quickly sold out, and Wyeth's career was launched. His style was distinctly different from his father’s—more spare, more ”dry”, and more limited in color range. 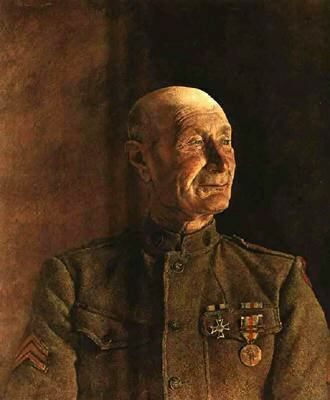 He also avoided the drama of his father’s style and early on stated the belief that “the great danger of the Pyle school is picture-making.” He went on to do a little illustration in his early career, including illustrating several books by the author Allen French, but avoiding the yoke that had been held back N.C. Wyeth’s artistic freedom, Andrew charted his own direction. 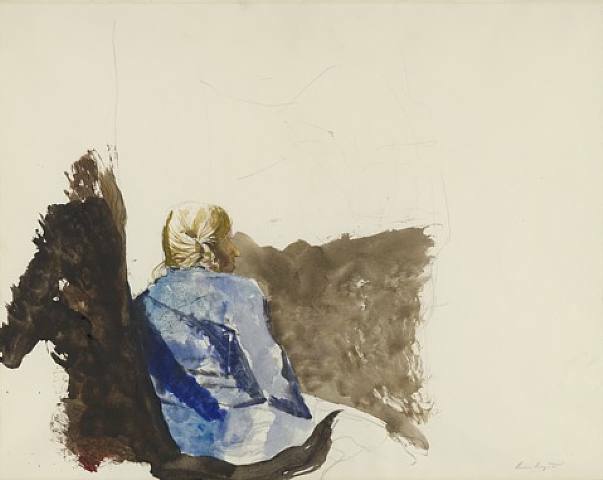 In 1940, Wyeth married Betsy James and in 1943 the Wyeths had their first child Nicholas, followed by James ("Jamie") three years later. Andrew painted well-known portraits of both Jamie and Betsy. 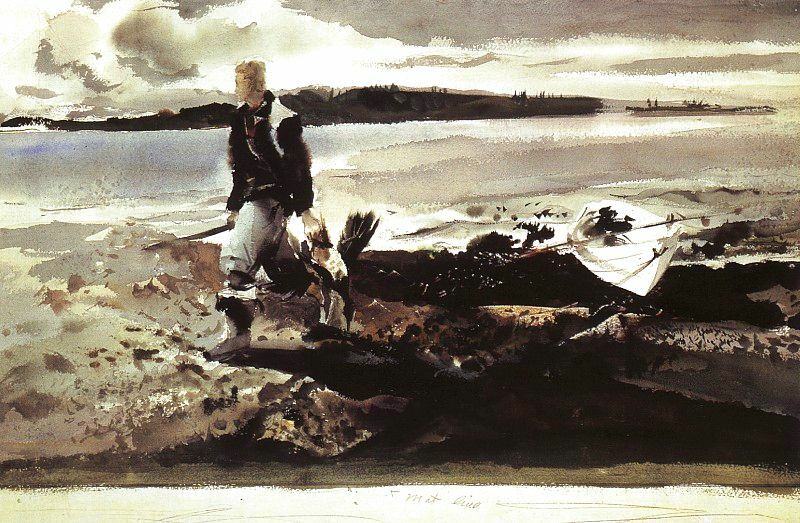 In October 1945, Andrew Wyeth's father and his three-year-old nephew, Newell Convers Wyeth II (b. 1941), were killed when their car stalled on railroad tracks near their home and was struck by a train. 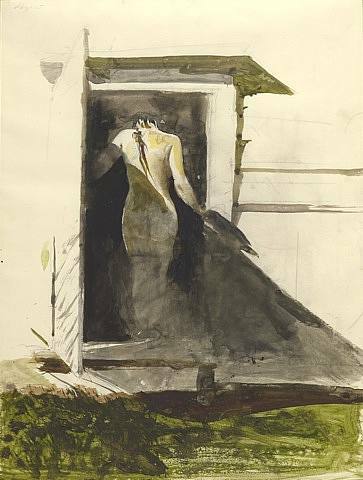 Wyeth has referred to his father's death as a formative emotional event in his artistic career, in addition to a personal tragedy. 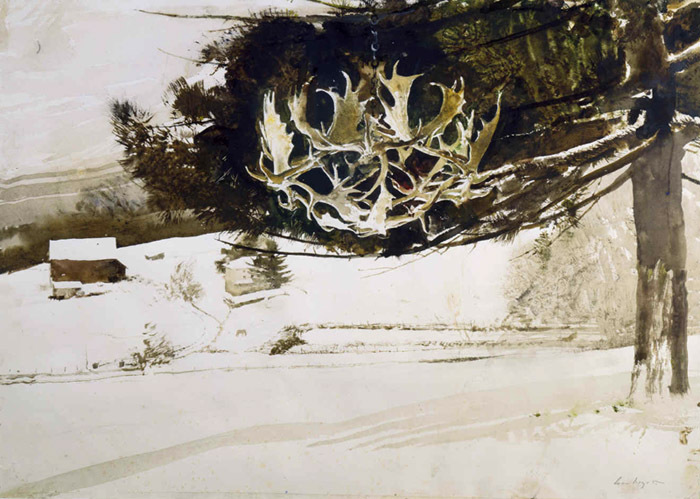 It was shortly after this time that Wyeth's art consolidated into his mature and enduring style, characterized by a subdued color palette, highly realistic renderings, and the depiction of emotionally charged symbolic objects. 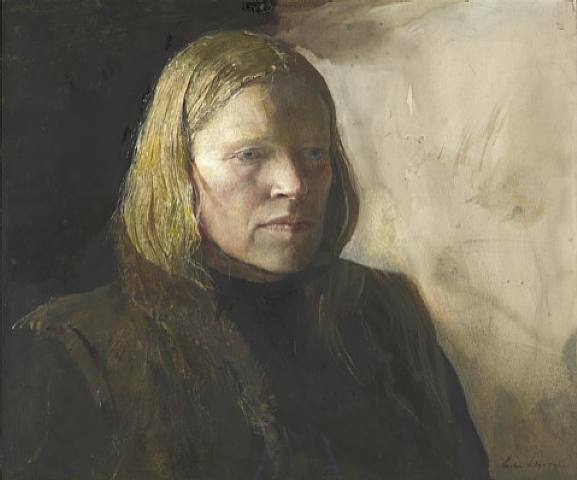 In 1948 Wyeth began painting Anna and Karl Kuerner, neighbors of the Wyeths in Chadds Ford. 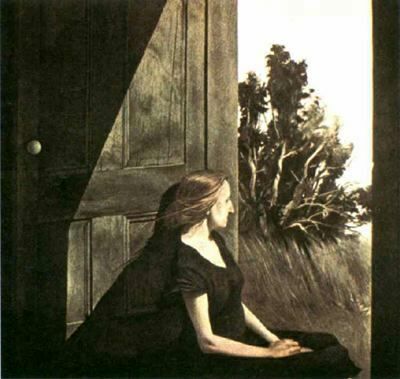 It was at the Olsen farm in 1948 that he painted Christina’s World, his famous image of crippled Christina Olsen yearning for her home. 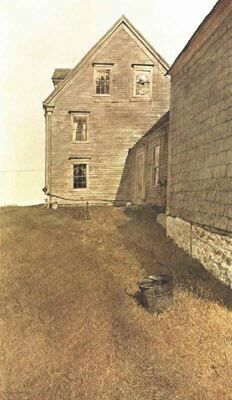 Like the Olsons in Maine, the Kuerners and their farm became one of Wyeth's most important subjects for nearly 30 years. Ironically, the Kuerner's farm is just a few yards from the railroad tracks where N.C. Wyeth died. The Kuerner's farm is now available to tour through the Brandywine River Museum as is the N.C. Wyeth home and studio. 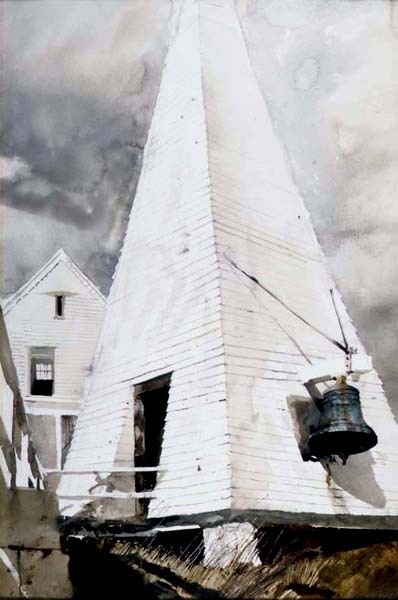 Wyeth stated about the Kuerner Farm, “I didn’t think it a picturesque place. It just excited me, purely abstractly and purely emotionally”. 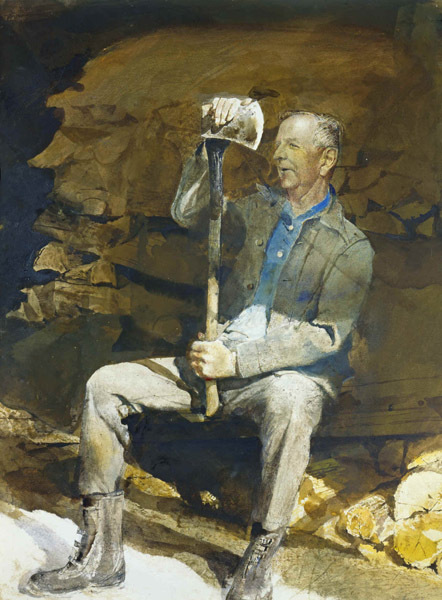 Dividing his time between Pennsylvania and Maine, Wyeth has maintained a relatively consistent realist painting style for over fifty years. 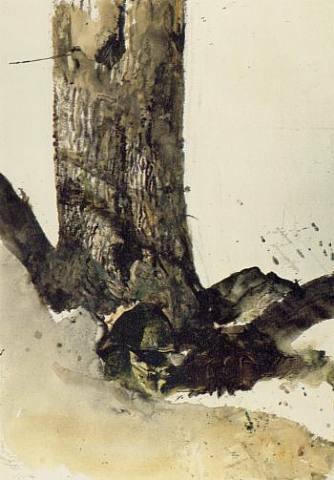 He has tended to gravitate to several identifiable landscape subjects and models, to which he would return repeatedly over a period of decades. 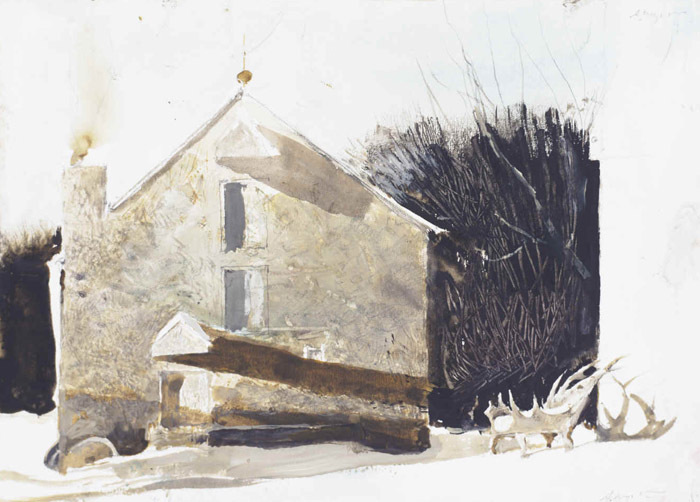 In 1958, Andrew and Betsy Wyeth purchased and restored “The Mill”, a group of 18th century buildings which appeared often in his work, including Night Sleeper (1979). His solitary walks are the primary means of inspiration for his landscapes. He develops an extraordinary intimacy with the land and sea and strives for a spiritual understanding based on history and unspoken emotion. 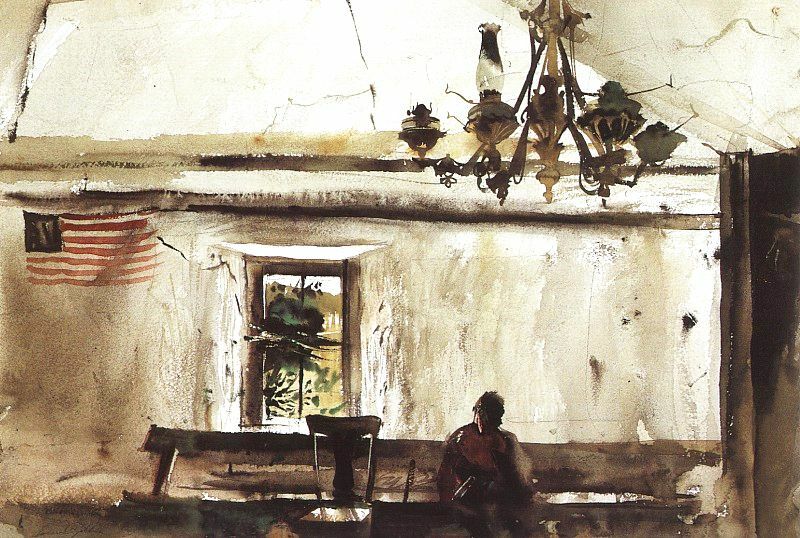 He typically creates dozens of studies on a subject in pencil or loosely brushed watercolor before executing a finished painting, either in watercolor, drybrush (a watercolor style in which the water is squeezed from the brush), or egg tempera. 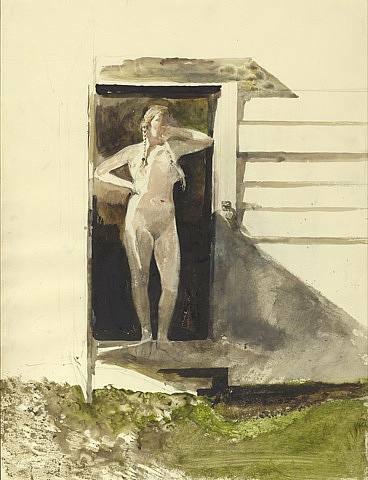 When Christina Olsen died in the winter of 1969, Wyeth refocused his artistic attention upon Siri Erickson, capturing her naked innocence in Indian Summer (1970). It was a prelude to the Helga paintings. 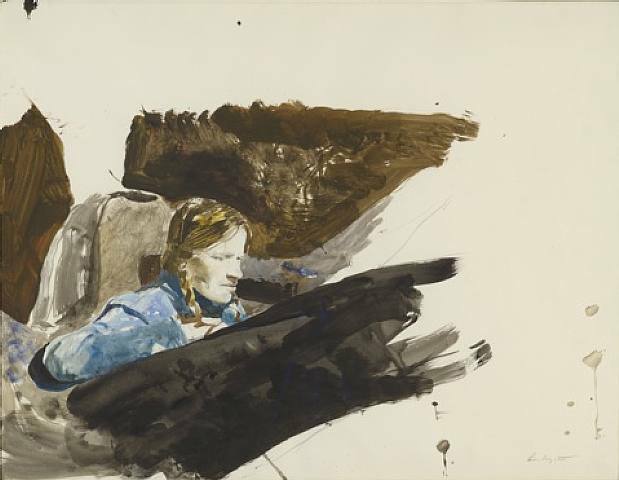 In 1986, extensive coverage was given to the revelation of a series of 247 studies of Wyeth's neighbour, the Prussian-born Helga Testorf, painted over the period 1971–1985 without the knowledge of either Wyeth's wife or John Testorf, her husband. 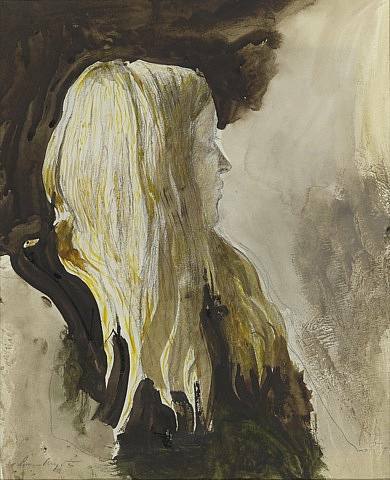 Helga is a musician, baker, and caregiver, and friend of the Wyeths. 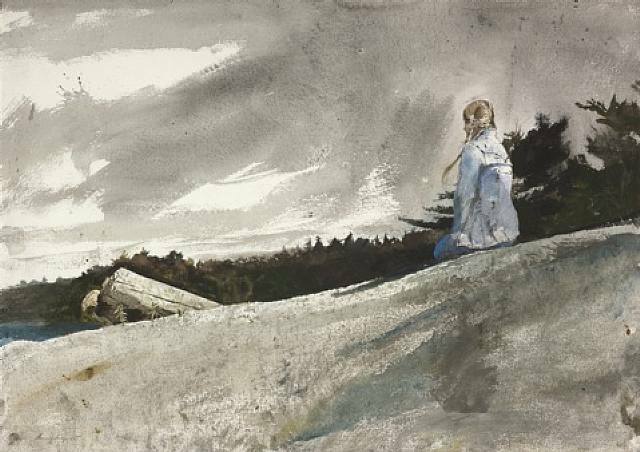 She met Wyeth when she was attending to Karl Kuerner. 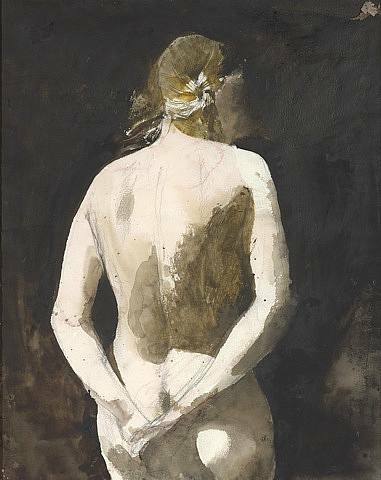 She had never modeled before but quickly became comfortable with the long periods of posing during which she was observed and painted in intimate detail. 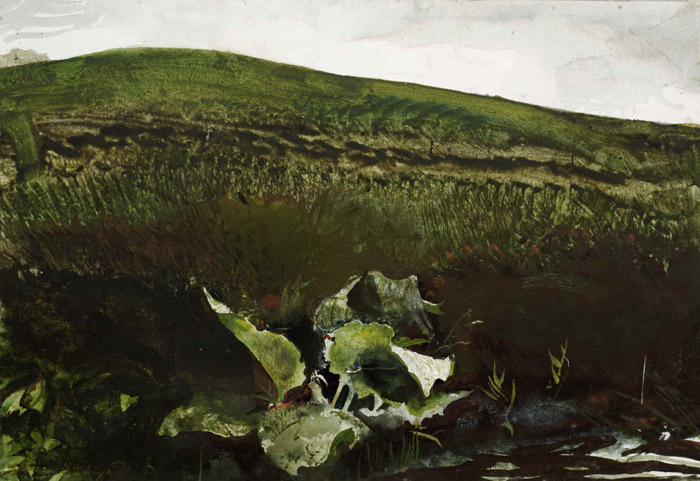 The Helga pictures are not an obvious psychological study of the subject but more of an extensive study of her physical landscape set within Wyeth's customary landscapes. 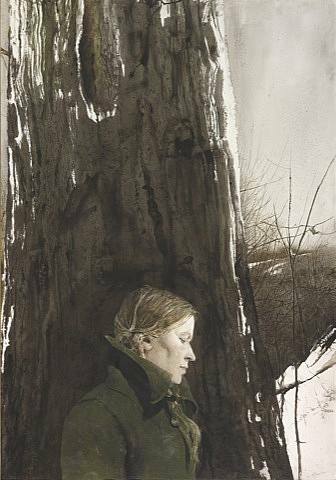 She is nearly always unsmiling and passive, yet within those deliberate limitations, Wyeth manages to convey subtle qualities of character and mood, as he does in many of his best portraits. This extensive study of one subject studied in differing contexts and emotional states is unique in American art. In 1986, millionaire Leonard E. B. Andrews purchased the entire collection, preserving it intact. The works were exhibited at the National Gallery of Art in 1987, and in a coast-to-coast tour. The Helga works are now owned by a private Japanese interest, which has agreed to allow additional exhibitions. 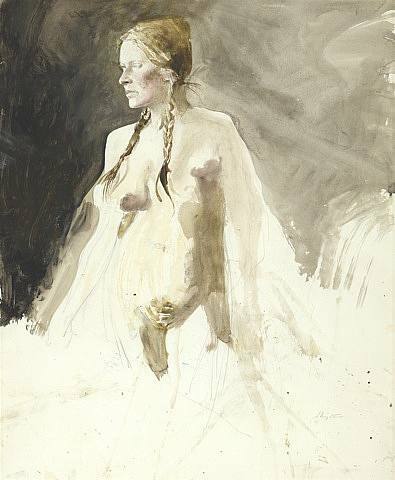 In March 2002, Wyeth painted Gone, his last Helga picture, and it joined the collection on recent tours between 2002-2006.